In 1914 the government’s Railways Department, or New Zealand Railways (NZR), was this country’s largest state agency, largest employer and effectively our biggest business. Along with the rest of New Zealand's public service (including the postal and telegraph systems) and the large fleet of the privately owned Union Steam Ship Company, the rail system and its workforce was one of the most valuable assets available to support the national war effort. Railways were even more important in Europe, where the great powers would utilise the military potential of their extensive rail systems to deadly effect between 1914 and 1918. While their increasingly short-staffed colleagues maintained essential rail services at home, up to 5000 of NZR's permanent employees (equivalent to almost 40% of the 1914 workforce), together with several thousand casual workers, served overseas. 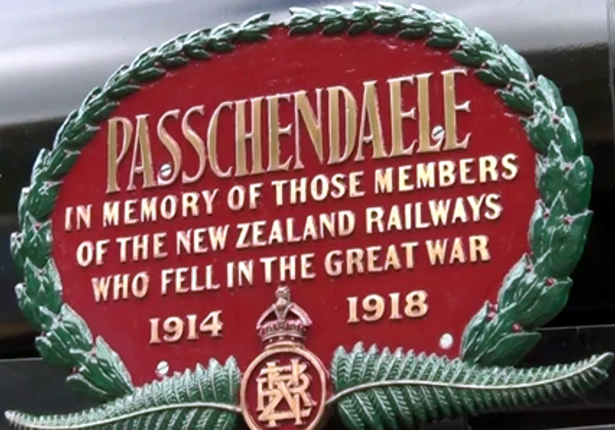 They served throughout the New Zealand Expeditionary Force (NZEF), and some manned rail-operating units in Samoa and Belgium. One railway worker won a Victoria Cross, and 450 of his colleagues died. This was certainly the greatest loss suffered by any New Zealand employer, and one that would be remembered via a range of distinctive war memorials. We have 23 biographies, 40 articles, related to NZ Railways at war.